Some of these cars were exhibited - and highly successfully - during national and international shows and exhibitions (such as the renowned Concours d’Elegance in Apeldoorn, the Netherlands). In addition, Ton is very experienced in the preparation of race and rally cars, specifically English makes (Austin Healey in particular). 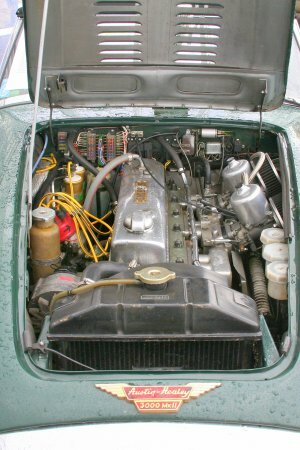 A recent project is this Healey 3000 Mk IIa which the owner wanted to have fitted with a 190 hp rally engine with a lot of low rev torque, special wiring with 26 fuses in various groups and floor protection. See “Links” for pictures of the restoration of a Jaguar XK140 for which Ton did the body work.